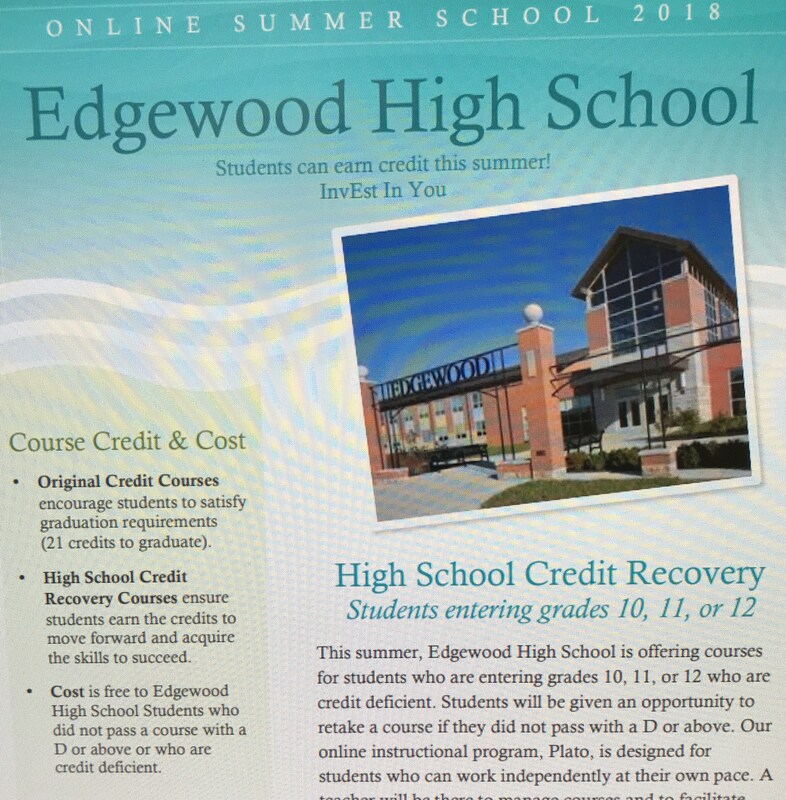 Students entering 10th, 11th or 12th Grade can take Credit Recovery classes at Edgewood High School this summer. Two different sessions are available. 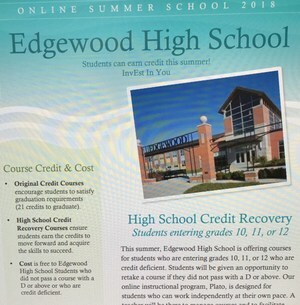 The cost is FREE to Edgewood High School students who are credit deficient or did not pass a course with a D or above. Refer to the attached flyer for details.